​never take a medication without reading the label. 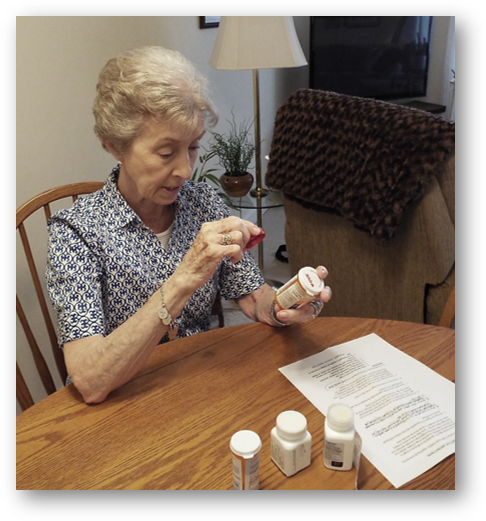 EZ Read™ makes medication labels easy to read and is the "must have" magnifier for everyone who takes or gives medications at home. ...and mistakes with medications can be deadly ! Parents and caregivers giving medicine to children. Caregivers who assist other adults with their medications. EZ Read™ is easy to use. It has the right amount of magnification to make small print easy to read. Best of all, it easily stores over the cap of most prescription bottles so you have a magnifier where and when you need it. No more wasting time looking for reading glasses! If you or a loved one takes prescription medications, don't take a chance.